Build a safe and fun place for your kids to play with free swing set plans and jungle gym plans. These plans are designed for stability and durability, with your child's safety in mind. Make it a family project and get the kids involved with building their new playground. Add a seesaw, sandbox, obstacle course and watch your backyard become the gathering spot for all the kids in the neighborhood. All of these projects require only basic tools and skill, along with some strong backs for assembly. 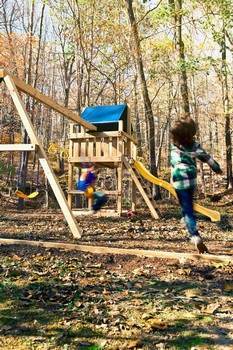 Use free swing set and jungle gym plans, along with the useful tips and material lists to construct a play area that fits your yard. Use galvanized or stainless fasteners and treated lumber for long life and durability. 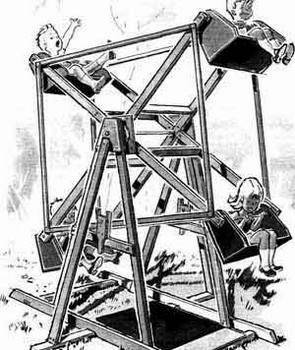 There is even a backyard Ferris wheel that is unique, old fashioned and fully functional. Pressure treated lumber and a kit come together to make the ideal play set with a fort, sandbox, slide and more. 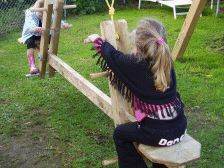 Double the fun by building a seesaw that swings with this woodworking project. 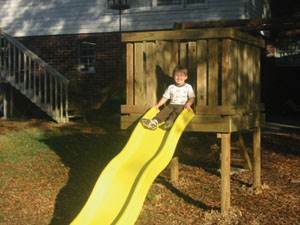 Here are 4 pages with instructions for building outdoor play equipment. Plans include a slide, teeter board, sand box, bench swing and more. 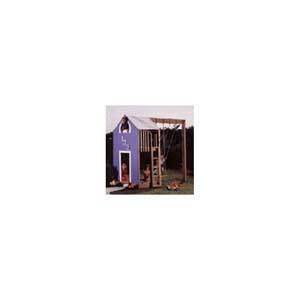 Give kids hours of fun with this simple to build playground slide with wooden fort area. 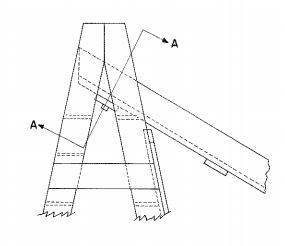 Plans only for a sliding board, swing, wagon, teeter totter, rocking board, sandbox and gym set. 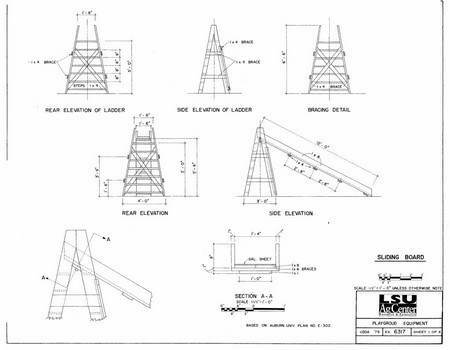 Instructions to build a wooden ferris wheel that has safety as a #1 priority.